Hi everyone! This will be your second and last homework assignment for this course (I know you’re all sad because I said you might get to do three assignments, but I’m sure somehow you’ll survive). For this one, I would like you to interview a person who has learned another language. 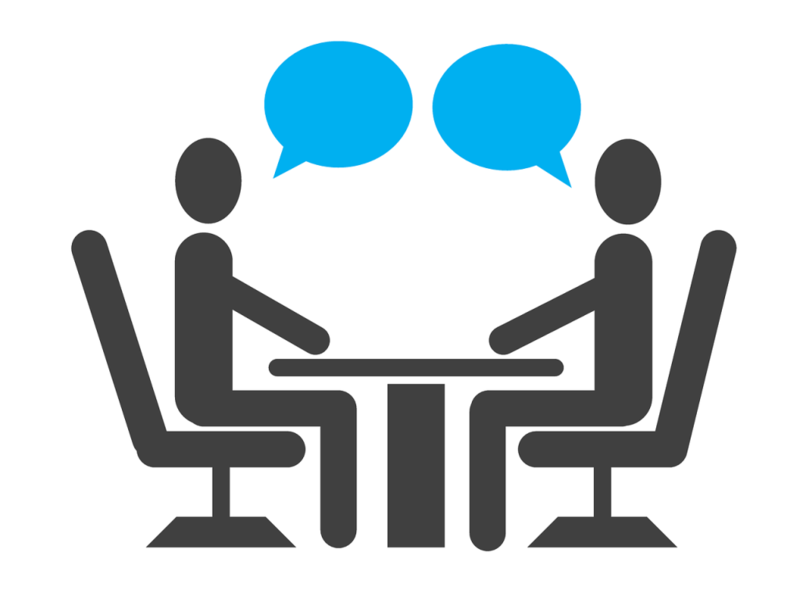 It can be English or any language, really, and the interview can be in whatever language you choose–but obviously it would be best if you do the interview in English, so you can practice! Ask the person questions about their language learning experience, and then in the comments section, write about the interview and what the person said. You should use reported speech in your comment, and you should include at least 5 examples of the types of questions you asked and the answers that you received. If you want to get credit for this assignment, please finish it by Wednesday, June 22. That will give you a week, which should be more than enough time. We’ll also practice reported speech more in class, but let me know if you have any questions. Good luck! Hi. Well, I did the interview to my co-worker Pablo. He was studying to be English Professor in the University of Costa Rica, but before he quit the subject. 1-Why did you decide to learn this language? 2- How much time did you spend learning? 3- What do you do to improve your english? Pablo told me that he usually listen music with music letters in english and also he tryes to watch movies without subtitles, but actually, he’s not doing anything to improve it cause he works a lot, at the same time, he told me he needs to continue practicing. 4- How much money did you pay for the course? He said me “I got a scholarship”. He told me that he needed to work in the library to get the scholarship, so he didn’t pay anything during the course. 5- I asked Pablo where he studied and he told me that he thought the University of Costa Rica could be the best opportunity, so he studied there. Pablo is part of the people who quit for different situations, he let me know that he want to improve him english. Good job in general, but there are a few comments I’d make. First of all, try to write shorter sentences. That way, they’re less complicated and easier to understand. Number 1 is an example of this, since the last sentence there would be better if it were broken down into three or four different sentences. Secondly, check the reported speech parts again. Since Pablo already finished the university, or at least for now, then his experiences were in the past. That means that the reported speech should be in the past perfect (this is an error in #2, for example). The mistakes aren’t very major and everything is very understandable, though. Hi. I did the interview to my co-worker Mirna. She studied Ecological turism and she took differents courses to improve her english. Now she is learning portuguese. 1- Why did you decide to learn this lenguage? I asked her. why she had decided to learn that lenguage. She told me that she was still learning firts of all and she decided to study english because she had a major in ecological turism. She told me that she needed to learn how to speak english because most tourists in Costa Rica came from united states. Also she told me that she was learning portuguese because she just enjoyed that lenguage and she will like to go to Amazonia. 2-What was the most difficult part of the process? I asked her. What had been the most difficult part of the process. She told me that the most difficult part had been to have an good accent because there are many words or sounds that we didn’t use un Costa RIca. 3- What is your favorite word in this lenguaje and why? I asked her. What her was favorite word in that lenguage and why. She told me that her favorite word was mountain, because actually she couldn’t pronounce it correct way and also the meaning of the word. 4- How much time do you spend learning? I asked her. How much time she did spend learning. She told me that that she spent like two years at the university taking differents courses. Algo she told me that she learned by practicing and working with tourists. 5- Do you have any tips to learn? I asked her. She did have any tips to learn. She told me that people didn’t have to be afraid of people. She told me that people needed to practice with everyone and everywhere. -You start each one out with “I asked her. What…” but that’s a bit strange. Instead, it should be something like “I asked her what her…” etc. -Also, in particular review the reported speech rules for questions. Number 5, for example, should be “I asked her if she had any tips to learn.” The way you wrote them is understandable, but not quite correct. Thanks again, and see you in class! No problem. It’s also confusing for most other students! Hello, I did the interview to my husband. He is engineer system in an internacional company. 1. What is the principal reason do you decided to study English? I asked him, what was the principal reason he decided to study English? And he told me that he liked English language and it provided him new opportunities to grow up in his career and makes easier to talk with other people when he travel out of the country. 2. How long do you think you take to learn English? I asked him, How long he taken to learn English? And he told me that he never stopped to learn English, because exists a lot of vocabulary never he ever listened. 3. What area do you need to improve in English Language? I asked him, what area he needed to improve in English language. And he told me that he would like to improve in his informal English like slang phrases, or unusual vocabulary because in US don’t speak so formal. 4. Which country do you like to visit for practicing if have the opportunity? I asked him, which country he would like to visit for practicing if he had the opportunity. And he told me, if he had the opportunity to visit only for practice, he would like to go to England. 5. What do you think about the English language level in the Costa Rican working environment, and specifically in your career? I asked him, what he thought about the English language level in Costa Rica working environment, and specifically in his career. He told me, he thought the level was high specifically in for high positions like managers and project managers, yet the same way. He needed to strengthen the verb tenses because it was very important understand how and when occur the things. I like the questions you asked! The responses and reported speech are also pretty good, but just be sure to move questions that were originally in the simple past tense into the past perfect. You do this mostly, but occasionally forget helping verbs (“had” in this case). Hi, I interviewed my friend Greivin who lives in USA. Actually we did the interview on skype. 1-Why did you choose English? I asked him why he chose to learn English. And there were not people who could speak Spanish. 2- Where did you learn this language? He said He had learned that languaje in Costa Rica and The United States but the courses he had taken in USA had been harder than Costa Rican courses. 3- What has been the most difficult part of your English process? He told me that the most difficult part had been understand natives speakers because they spoke very fast. 4- What do you do to improve your communication skills? He said he practiced with friends and they helped him a lot about how to talk carefully with others. 5- Can you give some advice for learning a new language? I asked him if He could give some advice. He told me not to be afraid to show my English and practice as much as I can. Very nice work! I think you have a pretty good handle on how to use reported speech. The rest looks good, but be sure to spell it “language” and add a “the” to USA. I interviewed my friend José. He studied English in INA. 1. Where did you study your second language? I asked him where he had studied his second language. He told me that he had studied in INA. 2. Why did you choose to learn that language? I asked him why he had chosen to learn that language. He told me that he had learned English because he needed for his job. 3. How long did you take to study that language in INA? I asked him how long he had taken to study that language in INA. He told me that he had taken to study one year in INA. 4. What techniques do you use to remember vocabulary? I asked him what techniques he used to remember vocabulary. He told me that he used to techniques of watch movies and listen to music. 5. What languages will you like to learn in future? I asked him what languages he would like to learn in future. He told me that he would like to learn French and Portuguese. Hey, I interviewed my uncle Carlos. His second leanguage is English. 1. Why did you study English? he had studied English because he like it and it is important. 2. How do you practice English? I asked him how he practiced it. He said that he practiced the most of his English talking with his american friends. 3. What was the most difficult part about learning the language? I asked him what had been the most difficult part about learning English. He told me that the hardest part about it had been to not being afraid of making mistakes while he was talking with native american people. 4. Is there another lenguage that you would like to learn? I asked him if there was another lenguage that he would like to learn. He said that he would liked to learn Italian. 5. Wich advices would you give to a person who is learning a new language? I asked him wich advices would he gave to a person who is learning a new language. He said to practice everytime I have the chance. I interviewed my brother because he had studied english. -Why did you choose learn english and not other language? I asked him why he had chosen learn english and not other language. -Where did you learn this language? I asked him where He had learned english. He said me he had learned in Centro Cultural Costarricense. -How much time have you study english? I asked him how time he did study english. He said me that he had studied english for 3 year but he had studied new things everyday after the after the graduation. -What language would you like to learn? I asked him what languaje would he likes to learn? -Which is the most difficult part for you when you studied english? Why do you like learn english? How long are you studying? Do you apply english language in your life? Yes, I do, I speak a lot time with other people. How many are percentage of English-speaking? I am in 65% . What techniques do you use to learn? 1. Can you speak other language? I asked her if she could spoke other language. She said. She could spoke English. 2. Why did you choose English? I asked her why she chose English. She said. She had chosen English because she loved English all her live. 3. How did you learn English? I asked her how she learned English. She said. She had gone to Discovery Language Academy. 4. What did you do at home to practice? I asked her what she did at home to practice. She said. She watched movies of course in English with SUB in English. 1.Why do you like to learn english? He told me that he had had a lot opportunities in his life. 2. How long time are you studying? I asked him . How long time is he studying. 3. Do you apply english language in your life? I asked him does he apply english language in his life. He told me that he had spoken english a lot time with other people. 4. How many are percentage of English-speaking? I asked him How many is his percent english ? 5. What techniques do you use to learn? he told me that he listen to music , I watch movies and I read news in English to learn english.